Happy Sunday everyone, today as usual I bring you my latest favourites from the fashion and beauty world, and this week it seems videos have been my main source of inspiration. I’ve been loving the abundance of autumnal style videos that have been hitting Youtube so there are plenty on the way for you today. Aside from that we have music, musings from the one and only Garance Dore and a new nail polish that is autumn/winter perfection in a pot. As soon as I heard Adele was going to be singing the latest James Bond title track, I knew it would be amazing. I can’t actually express how excited I am to see Skyfall in the cinema later this month, I feel like us Bond fans have been waiting forever and a day to see Daniel Craig back in the role, but this song has only made me more impatient. Of course Adele’s vocals are incredible, but the track is so typically Bond and is definitely one that I cannot stop listening to. If you’ve been living under a rock and haven’t heard it, here it is. On browsing my local Westfield yesterday I found myself instantly drawn to the Models Own bottle shop, which they have erected at the moment. The great thing about having access to it, is that it’s one of the first places that new collections are in stock, which is why yesterday I checked out the brand new Wonderland collection. The whole Wonderland collection is great and mostly glitter which is right up my alley, but I have similar polishes to most in the collection, aside from Snowflakes which I have completely fallen in love with. Snowflakes is a clear topcoat filled with torn iridescent foil, so the flakes change from a gold to a pink to a blue. The only polish I can think of that’s almost similar to this is Deborah Lippman’s Glitter In The Air, but seeing as this is £5, it’s definitely a steal in comparison. You can check it out online from the 16th October on the Models Own site and in selected Boots stores now. 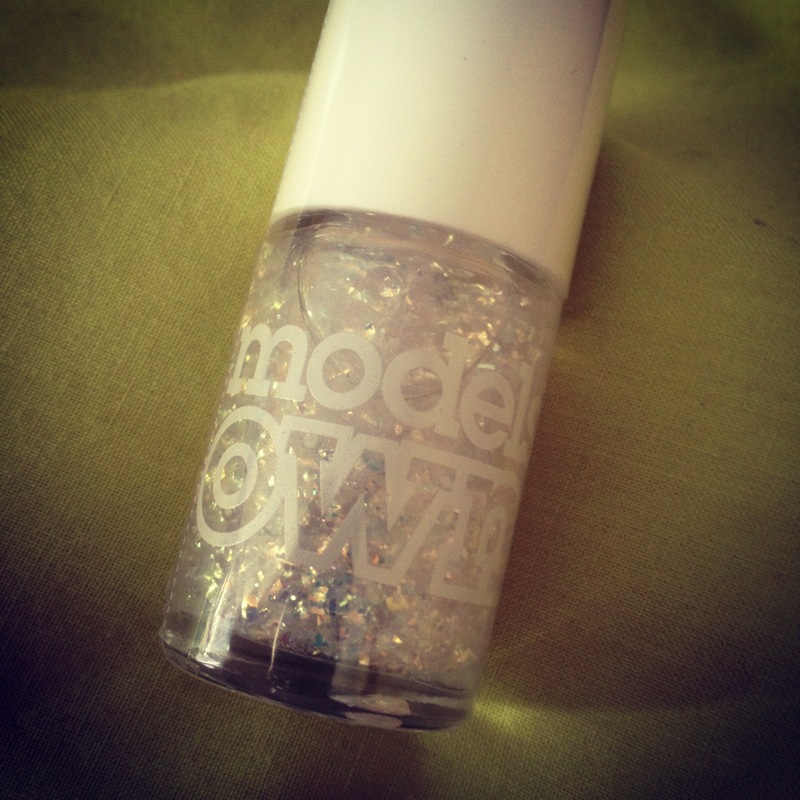 I’ll most probably have a NOTD post up using this very soon too! As you can probably tell from my latest moodboards, I am all about autumnal fashion right now, and rightly so. It’s gone a little colder here in Britain of late, so ‘fall’ fashion is definitely of the moment and I love being inspired to try different outfit combinations and pairings. One of my absolute favourite Youtubers is Jenn of Clothes Encounters whose lookbook videos are top notch, and so of course as soon as she uploaded a Fall Outfits video I knew I was going to love it. Here she is showing you how autumnal dressing should be done. Being as The Fifth Element is my all-time favourite film, I of course adore Milla Jovovich and basically everything she wears. Recently as part of their supermodel series, the lovely ladies at Pixiwoo uploaded this fab Milla Jovovich make up tutorial which I think is a perfect representation of her ’90s make up look. I’m going to be trying this really soon and of course will show you guys how I get along, but in the meantime get inspired with this gorgeous make up look, just like Milla! I talk about Garance Dore all the time here on the blog, and for good reason. She is one of my biggest inspirations and creates such gorgeous snapshots into the fashion world, particularly during the various fashion weeks that she is part of. At the moment Garance has created a ‘Paris Diary’ split into chapters which documents her current goings on in Paris, including Paris Fashion Week. The latest installment, number three, is my favourite so far, but you should definitely go back and watch the other two as well they are not to be missed! I’ve had a real thing for slogan tees and band tees at the moment and find myself constantly reaching for them in my wardrobe over more dressy things. I feel as though I’m constantly in casual mode, and I’m enjoying pairing grungier pieces together this autumn. That’s why when I saw that Jenn of Clothes Encounters has uploaded this Band Tee Styling video, it was going to my cup of tea, and it really is, check it out!